A guaranteed way of bringing a smile to someone's face is by slipping a cutely packaged gift into their Christmas stocking. Who, irrespective of age, would not love finding cute lip balms, bath bombs, loofahs, hand creams, sanitisers, mists and other everyday products on December 25th? 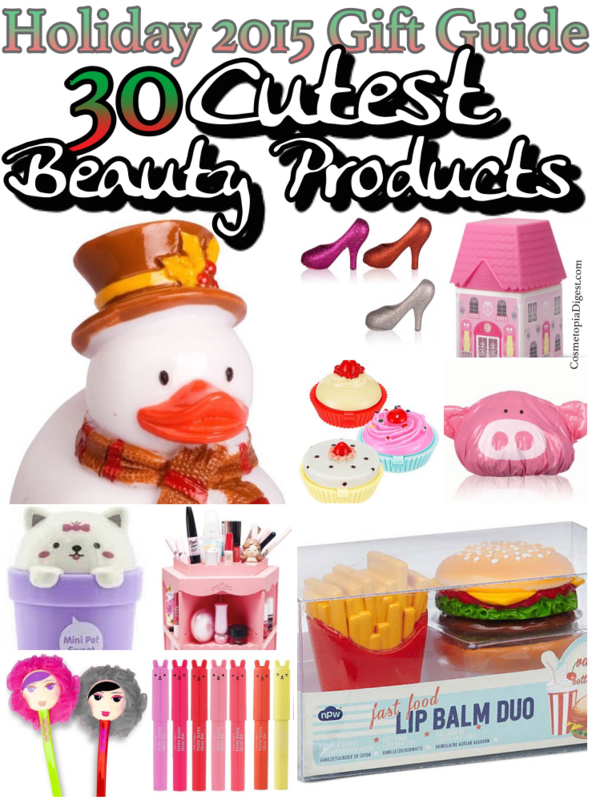 Here is your one-stop source for the cutest beauty gifts ever - and they are all affordable and ship worldwide! A comprehensive list detailing prices and websites along with a pinnable reference image. Scroll down for the lowdown on the 30 cutest beauty products ever and where to buy them. Price £7. Shipping charges may apply. Price £3.99. Nominal shipping charges. Price $14.81. Prices of Korean beauty products may fluctuate depending on exchange rate. I want the whole lot to look at, but for now, I certainly cannot resist the Fast Food Lip Balm Duo. Let's see if Selfridges has Boxing Day sales, or if I can find something else to order so I can combine postage. Are you a sucker for cute packaging or do you think it is juvenile? Tell me in the Disqus comments widget below.